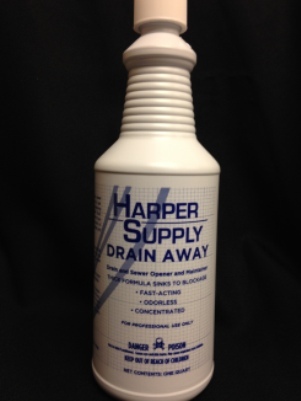 Liquid Drain Away is a ready-to-use caustic drain/sewer opener. This odorless, liquid drain and sewer opener dissolves and liquefies fats, oils, hair and other organic matter to keep them open and free flowing. Its powerful formula is heavier than water, so it sinks quickly to the point of obstruction and immediately starts to penetrate and dissolve the blockage. Plus, it can be used as a drain maintainer since regular use at weekly intervals can keep problem drains free of blockages.